The Mazda 767B is the third of four IMSA GTP predecessors to the iconic 787B that took the overall race win at the 24 Hours of Le Mans in 1991. 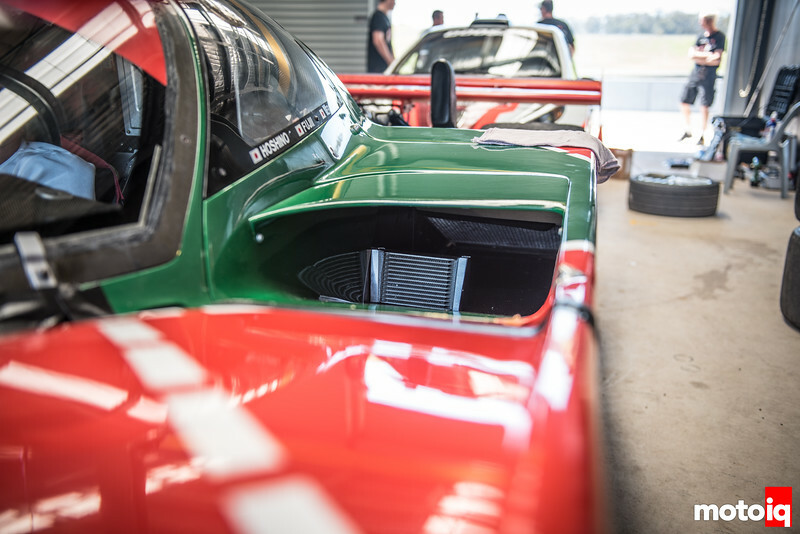 The 767B was first raced in 1989 and is widely considered a success due to its reliability and for the part it played in progressing Mazda to the top of the podium in '91. 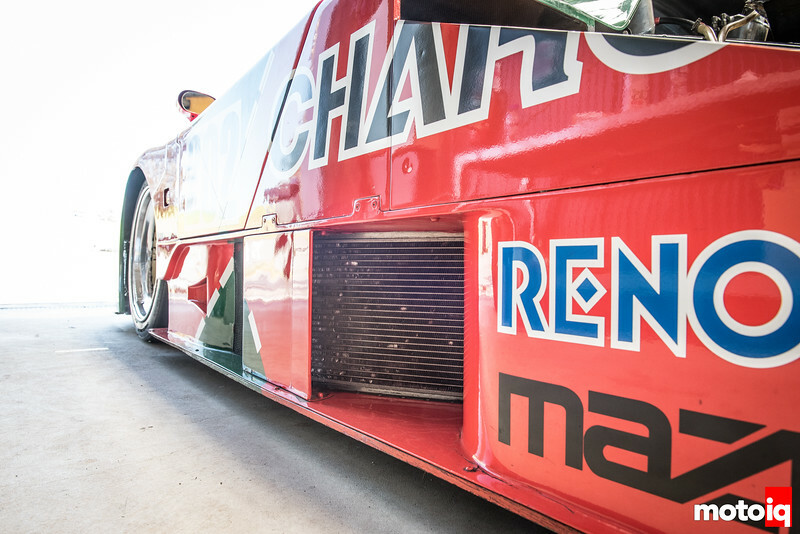 This heritage is important because the 787B marked the first and only overall Le Mans win thus far from a Japanese manufacturer. It is also the first and only overall win using a rotary engine. So let's celebrate that heritage and take a closer look at some cutting edge 1980's technology. It's a rotary powered race car, so what better place to start than the engine. Here we're looking at the fuel system on the right-hand side of the engine. The fuel rail is fed by a single hose in the center of the rail with regulators and returns on either side. This will probably be mentioned several times in the following pages, but it's amazing how far motorsports technology has come in the past 27 years. Zoom out from our last shot a bit you get a tiny glimpse of one of the 767B's radiators. The wooden plank is placed over the core while the body work is off to keep dropped wrenches or sharp elbows from damaging the fins. Hopefully there is some substantial heat shielding or airflow around that exhaust since it is plumbed directly below the radiator. Flipping over to the other side of the engine and things get more busy. Here we get a look at the ignition system. If you remember back to our last installment of Project [Rotary] FD RX-7, we talked about how most rotaries use two spark plugs per rotor. 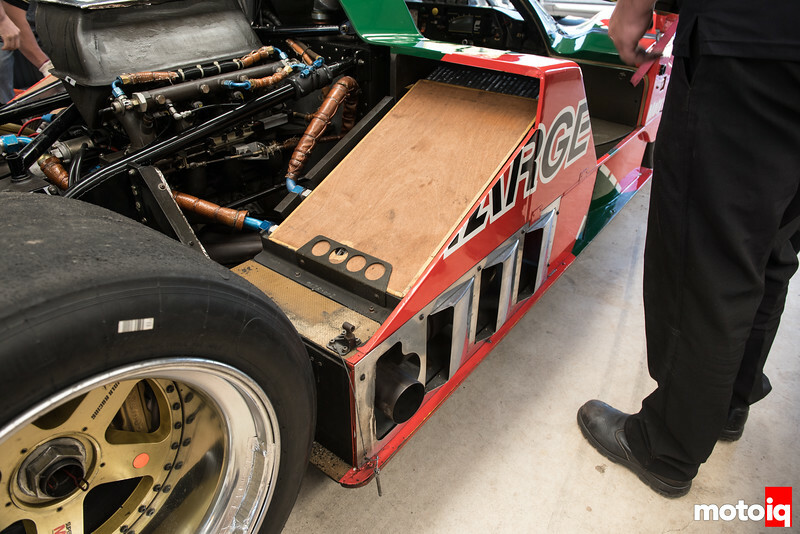 Naturally the 767B does as well, but with four rotors instead of two hence the eight plug wires. The car that broke the trend of two plugs per rotor was Mazda's next IMSA GTP iteration, the 787, which got three plugs per rotor as part of the famed R26B engine package. 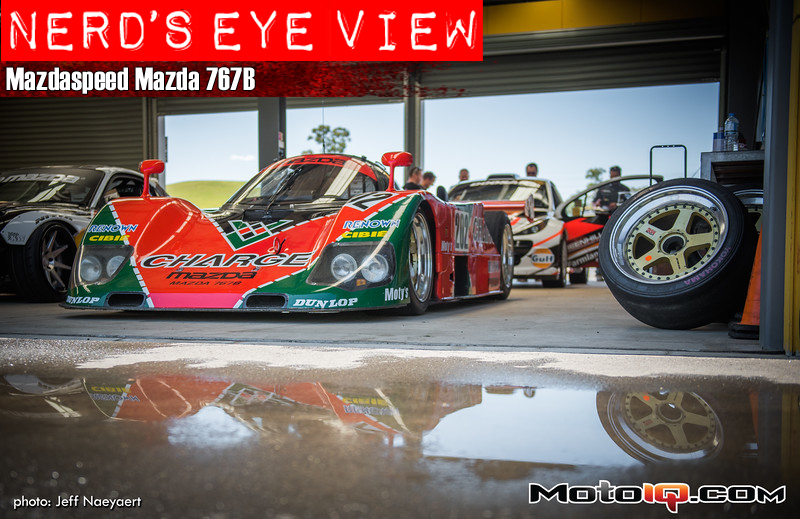 Mazda continued with this design for the 787B. 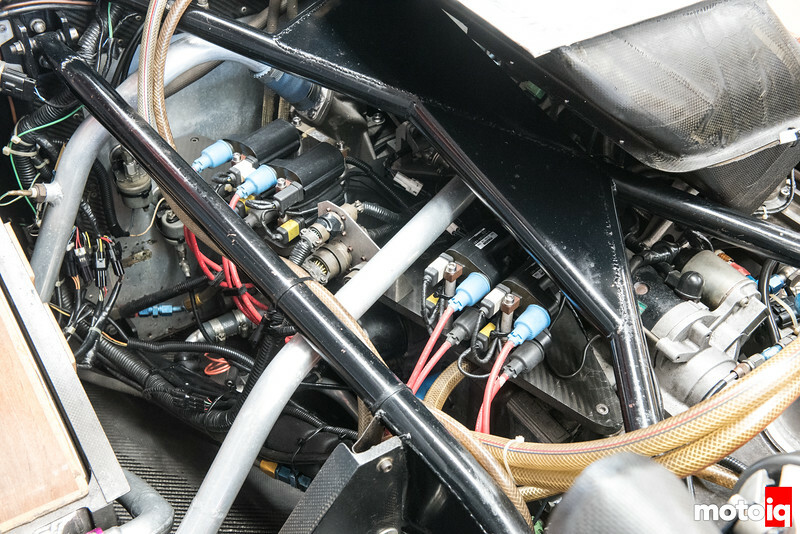 Take a look through the body work on the left hand side of the Mazda 767B and you catch a glimpse of another radiator and an oil cooler. 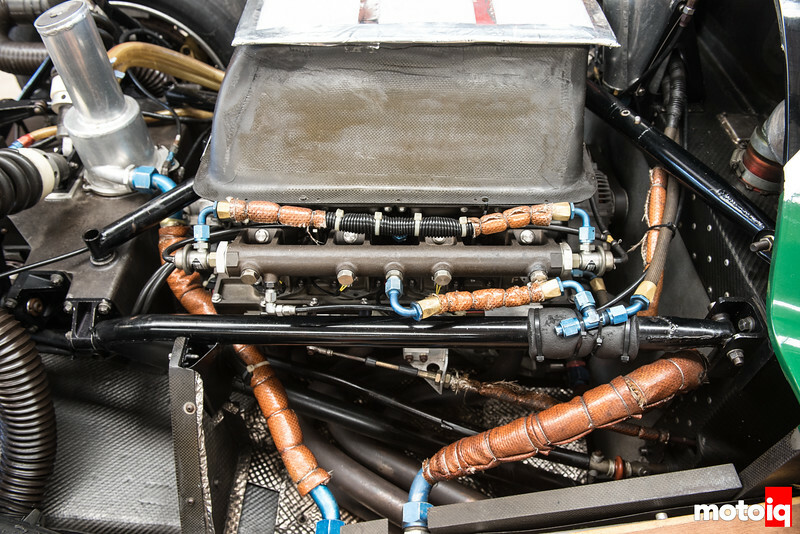 If there is one part of a rotary powered race car that it is best not to neglect, it's the cooling system. Seems the guys at Mazda know this as well. Oh look, there's yet another heat exchanger hiding behind some duct work.